We’ve been home from Nicaragua for nearly a week now and we have been busy catching up on our rest and getting settled back into our routine. A trip like that is hard on the family, but worth it when you look back at all the Lord did. During the pre-trip we stayed very busy preparing for the big event. I was so proud of how hard our girls worked and they truly showed that even the youngest can be used by God. 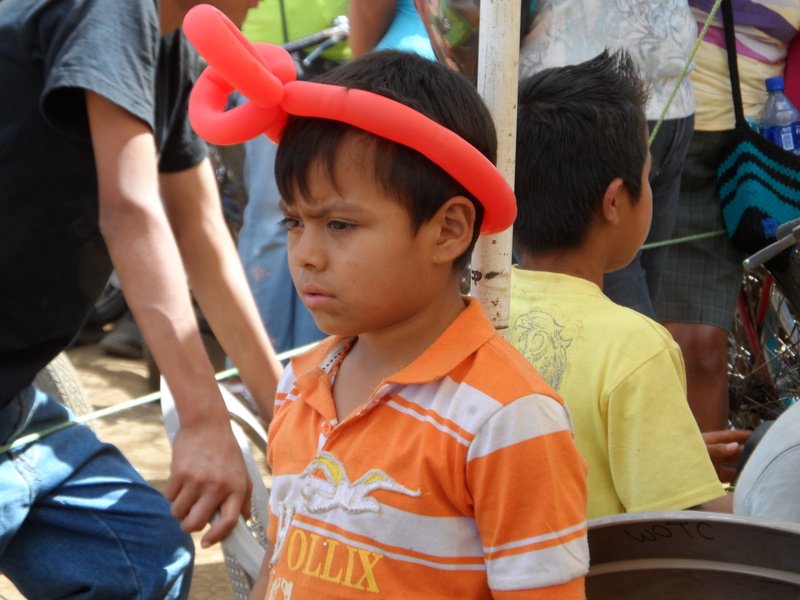 If you missed my first posts from the beginning of the trip you can start here: From Nicaragua. 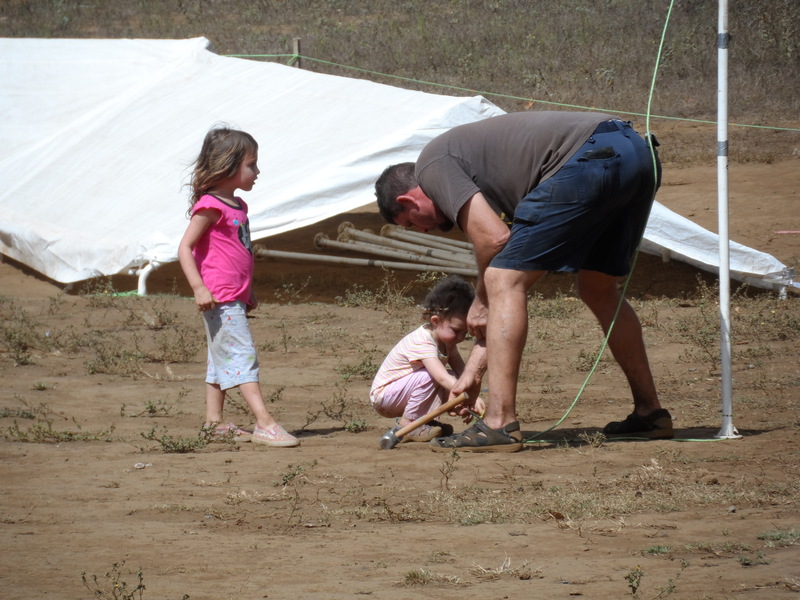 Emma and Paige helping Phillip put tents up. 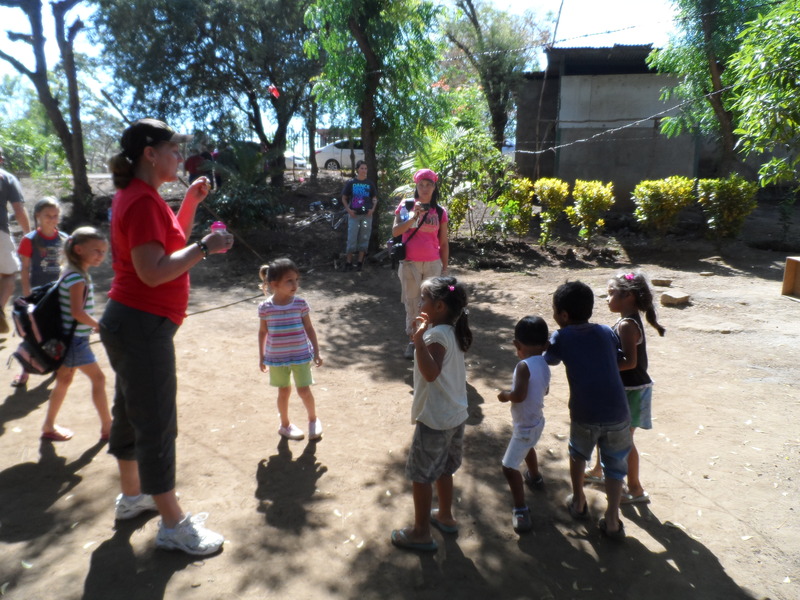 Blowing bubbles with Debbie and the Nica kids. I had every intention of blogging throughout the 3 days of Med-Fest but it was during that time that one, then two, then three kids got sick. It is challenging enough dealing with the intense days of ministering but throwing sick kids into the equation left me with no time or energy to write. Med-Fest truly was a great event though. I know the doctors, dentists and all the medical professionals had an awesome time seeing hundreds of Nicaraguan locals. The evangelism teams saw thousands and in the end we had 7,431 salvations. Praise the Lord! We also had a small pastors conference going on where a lot of the leaders who came on the trip had an opportunity to share the many lessons God has taught them with the Nicaraguan pastors we were working with. The pastors worshiping the Lord and preparing to receive a word from Boyce Mouton, Walter Kuhlman and Oscar Brooks. Not the best picture, I know, but it was a small room! 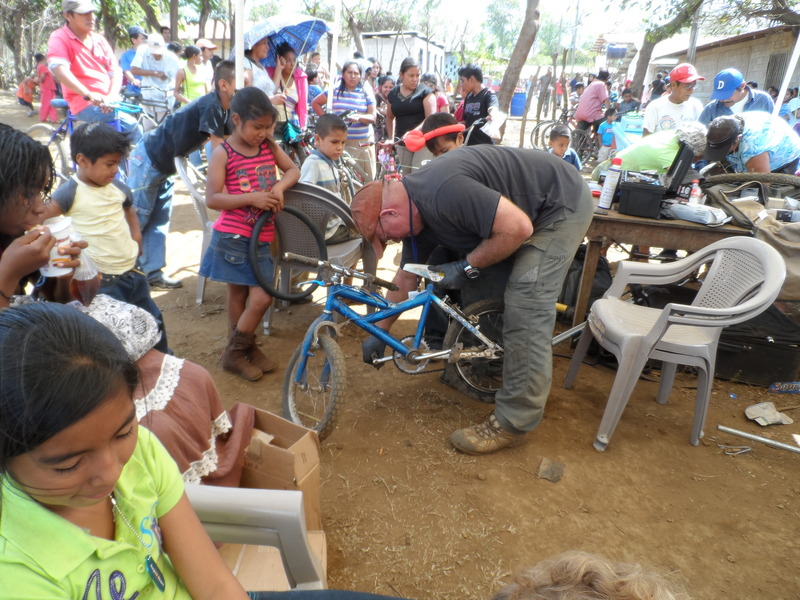 There was even a team doing bicycle repair, which turned out to be an amazing ministry opportunity since bicycles are the main mode of transportation for many Nicaraguans. Steve McPherson from Memphis, TN led up the team and said that next year they would have to triage the bikes to help them work more efficiently. Steve McPherson working on a bicycle. 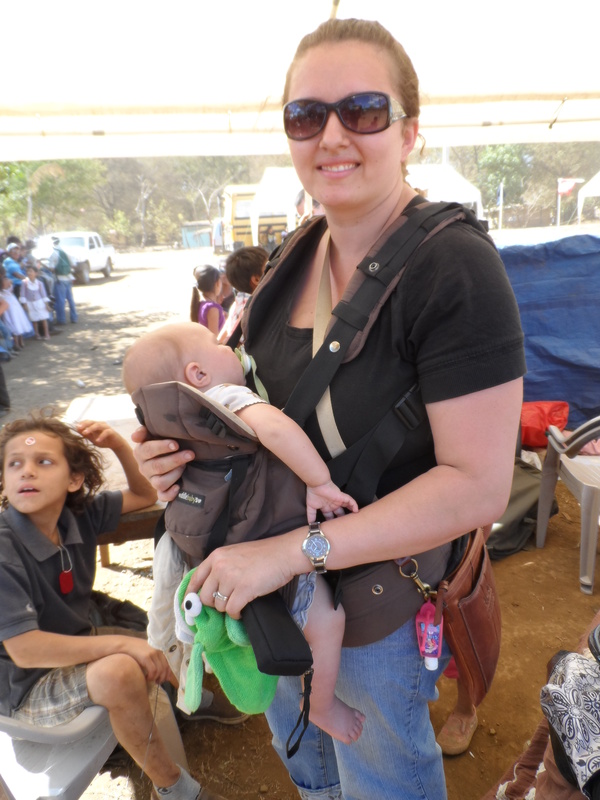 Olivia and I loved using the baby carrier. I finally found one that didn’t hurt my back and Olivia would just fall asleep in it. There were lots of games and activities for the kids! 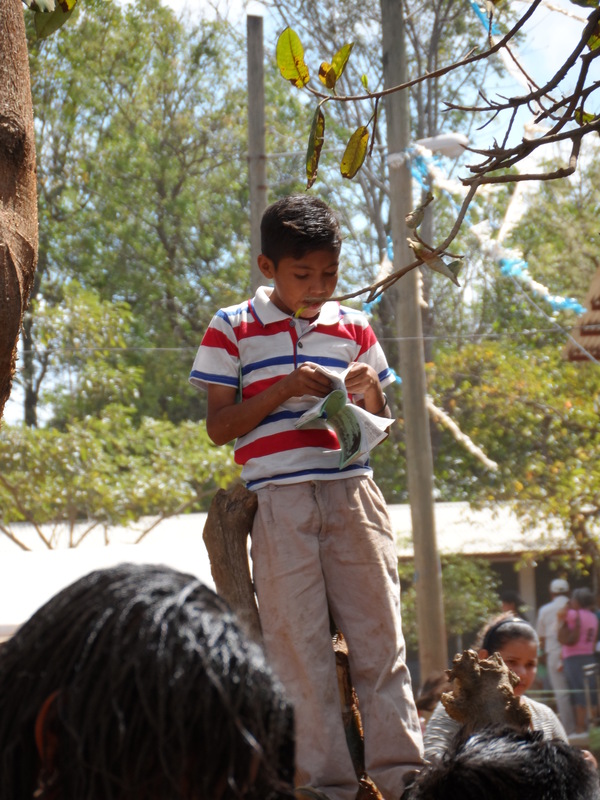 A young boy reading through his new Gospel of John. There was something going on in every direction, it seemed. People were getting treated, having teeth pulled, being prescribed medicines, playing games, winning prizes, hearing testimonies and soaking in the Gospel message. So what were we doing in all this? Well, let’s just say God was teaching us a lesson (to be continued).